The Montegrappa Chaos pens have now arrived at Penbox. We were delighted to receive the Chaos fountain and roller ball pens earlier this week and were quick to take some images of this limited edition from Montegrappa for the Penbox Pen Blog. One of the images is above – click the above image for a closer look. 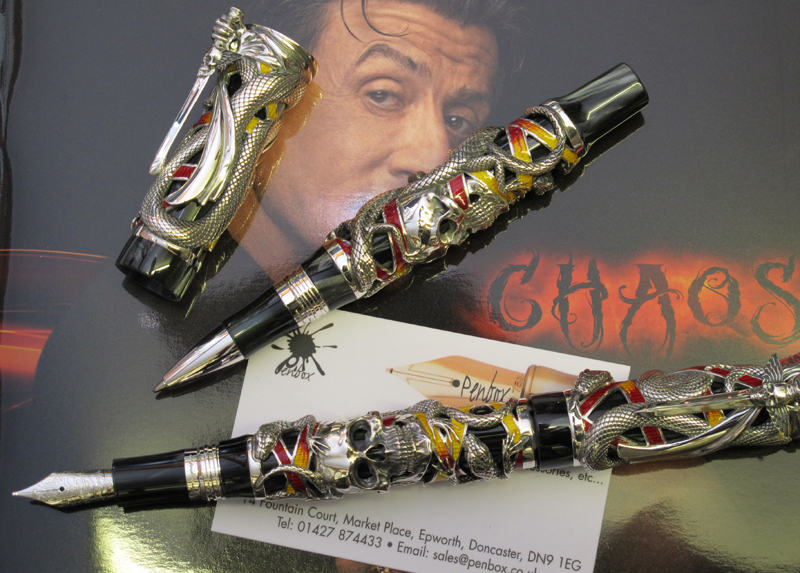 We have written about the Montegrappa Chaos in an earlier post. But having now received out first delivery we can appreciate up close this figural masterpiece in celluloid, silver and enamel (yellow and red). Contact chaos@penbox.co.uk for pricing.